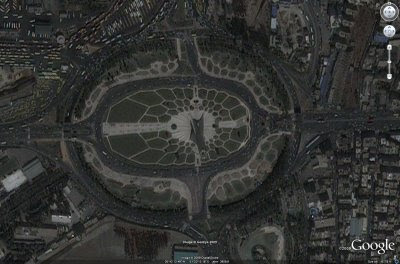 Google Earth updates the satellite images of Tehran, Iran. With the current civil unrest happening in Iran right now, Google takes a step of updating the satellite images of Tehran for public viewing. Google Earth used GeoEye's IKONOS satellite with roughly 1-meter spatial resolution. Below is just a sample image of Tehran from Google LatLong. You can view the images on Google Earth with this KML file (assuming you already have Google Earth installed on your PC). You can download Google Earth for free if you have not done it yet.